The Intel Core i7-3612QM is a fast quad-core processor for laptops based on the Ivy Bridge architecture. It is the fastest mobile processor rated at 35 Watt (at the time of announcement in mid 2012). Due to Hyperthreading, the four cores can handle up to eight threads in parallel leading to better utilization of the CPU. Each core offers a base speed of 2.1 GHz but can dynamically increase clock rates with Turbo Boost up to 2.8 GHz (for 4 active cores), 3.0 GHz (for 2 active cores) and 3.1 GHz (for 1 active core). Compared to the other quad core CPU, the 3612QM is specified at a TDP of only 35 Watt (similar to the dual-core CPUs). The BGA version (that is directly soldered to the mainboard) supports VT-d virtualization, whereas the rPGA version does not. Both dont support vPro, but otherwise all Ivy Bridge features like AES or VT-x are useable. The performance of the Core i7-3612QM is slightly above a similarly clocked Sandy Bridge processor due to the architectural improvements. As a result, overall performance is similar to the Sandy Bridge Core i7-2820QM. Altough the 3612QM has a higher model number than the 3610QM, it offers slower clock rates and therefore performs worse. However, the 3610QM is specified at a much higher TDP of 45 Watt. 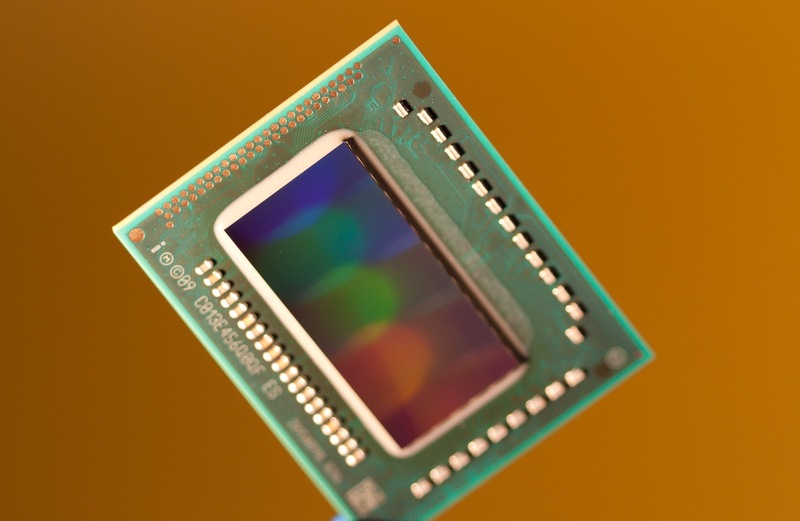 With a TDP of only 35 Watt, the Core i7-3612QM is the first quad-core CPU from Intel that is specified at the level of the dual-core mobile CPUs. Therefore, even smaller laptops can use the Core i7.